Iron Cross utilizes an industry leading powder-coat on their bumpers. This is an extremely durable weather, and corrosion resistant coating. Rigid boxed construction provides superior durability and impact resistance. Iron Cross Automotive products are well known for their strength and longevity. Iron Cross HD Rear Bumpers feature a double weld at every seam ensuring that this bumper will stay together longer and stronger. Each Iron Cross HD Rear Bumper comes equipped with two double welded shackle mounts. These mounts offer a wide range of uses but are particularly good for recovery and winch use. Laser cut precision allows Iron Cross products to be constructed proportionally and have a contoured fit on every vehicle. Straight lines, equal position, and an optimal welding environment are all benefits of this process. This creates a greater product for you. 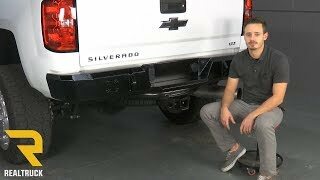 Although the HD rear bumper is an aftermarket and rugged bumper replacement the details aren't missed. Factory plugs, lights, and other OEM mounts are built in. Another area where the premium welds and laser cut construction come in to play. 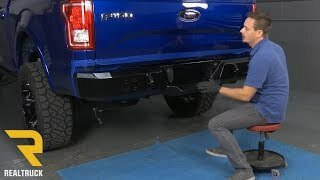 If you're in the market to upgrade your truck to that heavy duty look, your work isn't complete until you add an HD rear bumper from Iron Cross. Delivering unrivaled strength and style, Iron Cross bumpers provide an intimidating look that separates you from the pack. Iron Cross rear bumpers are CNC laser cut, ensuring a great fit, every time. Double-welded joints inside and out offer the strength you expect from an American-made heavy duty bumper. Iron Cross then finishes the bumper with a textured black powder-coat that protects the bumper from the elements, while also adding style. These rear bumpers come with D-ring mounts and do not interfere with factory receiver hitches, adding functionality to your ride. Iron Cross rear bumpers are made in Tulsa, Oklahoma, and are backed by a limited lifetime warranty. 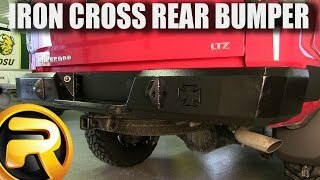 Whether you're driving off-road, at the work site, or just moving the family across town, Iron Cross rear bumpers are guaranteed to offer increased protection while adding a unique style to your ride. 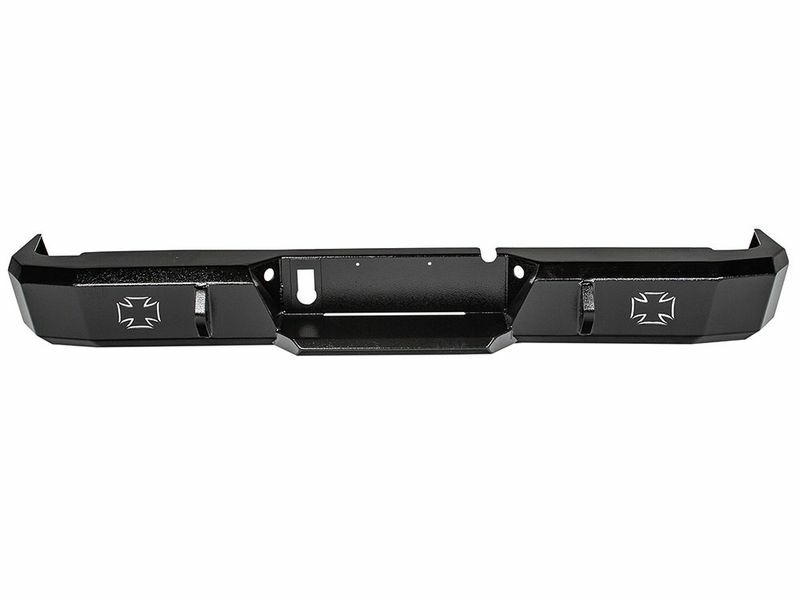 Iron Cross HD rear bumpers come with all necessary hardware and brackets for an easy, at home installation. If you have any questions, please call 877-216-5446.